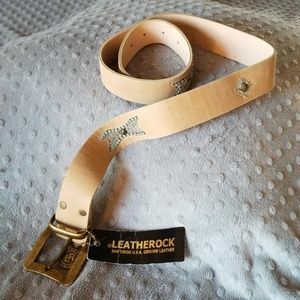 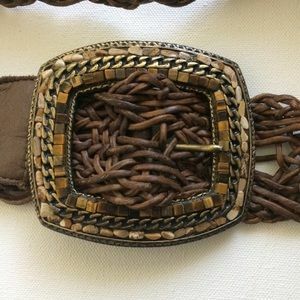 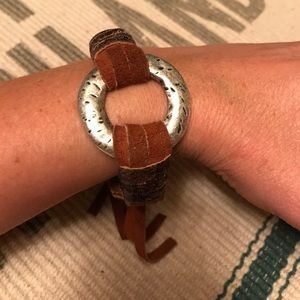 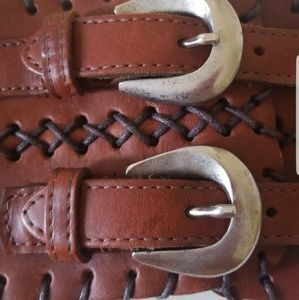 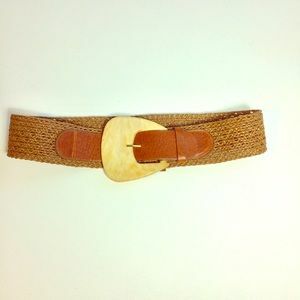 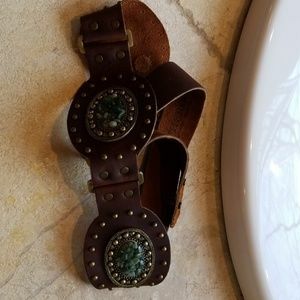 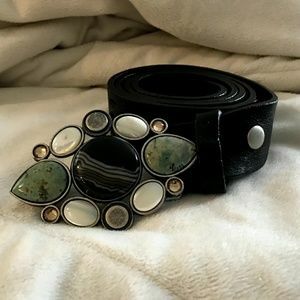 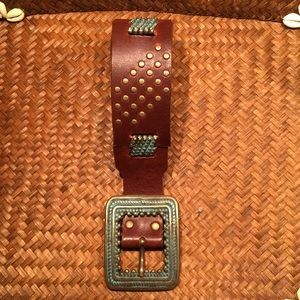 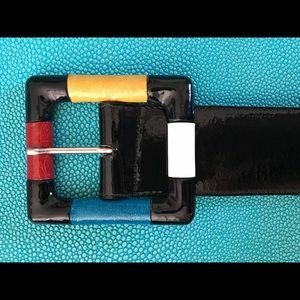 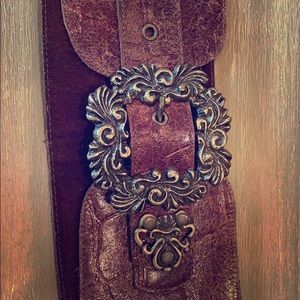 LeatherRock woven belt large brass square buckle. 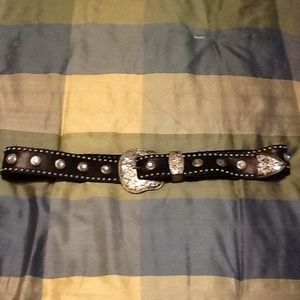 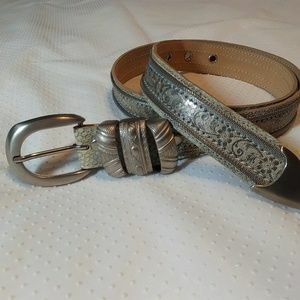 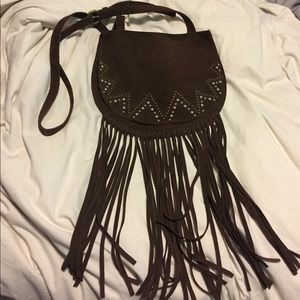 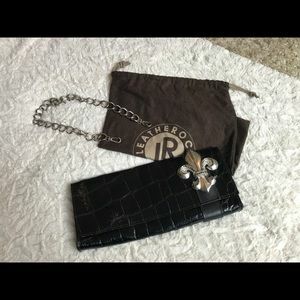 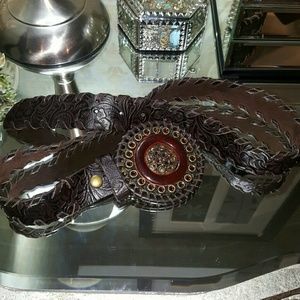 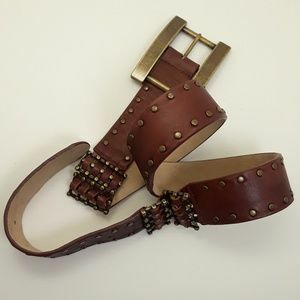 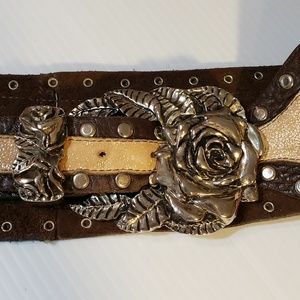 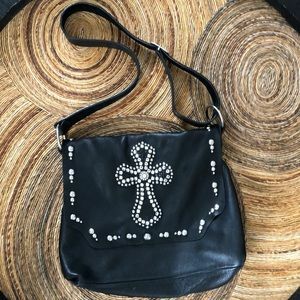 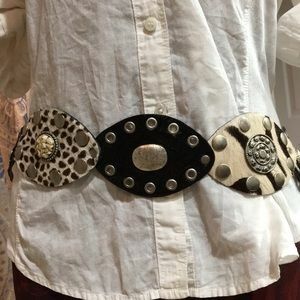 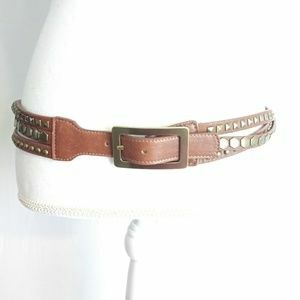 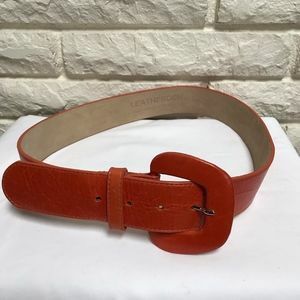 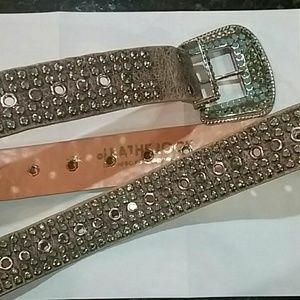 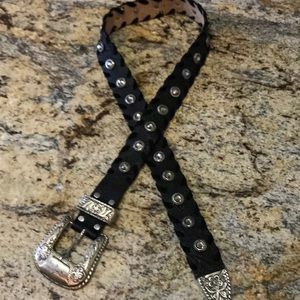 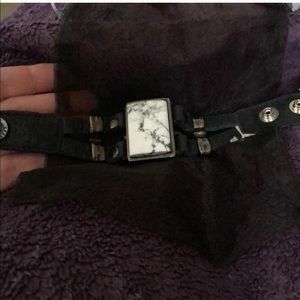 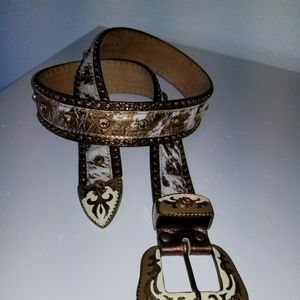 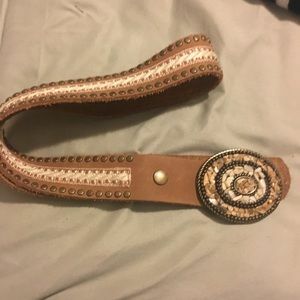 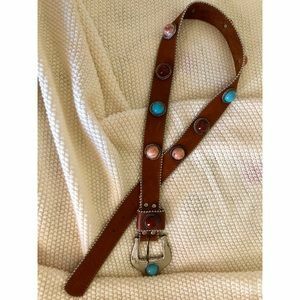 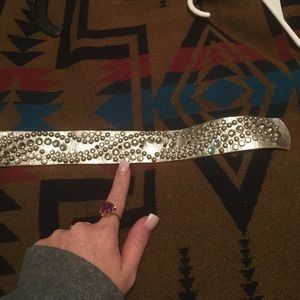 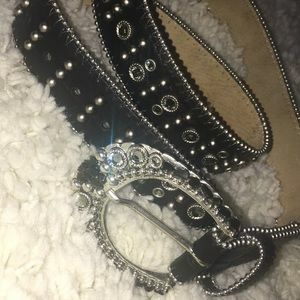 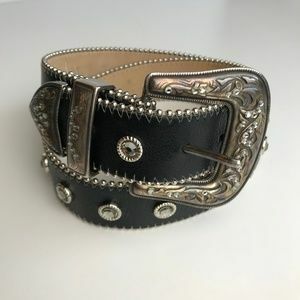 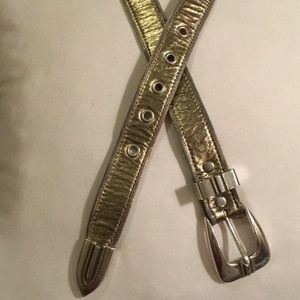 Size: S / 30.5" - 34.5"
Size: M belt length 37.5 no including the buckle. 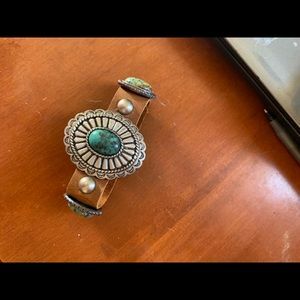 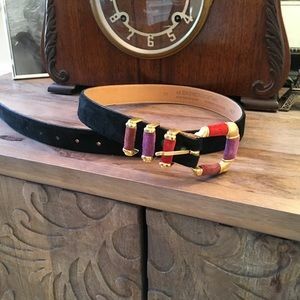 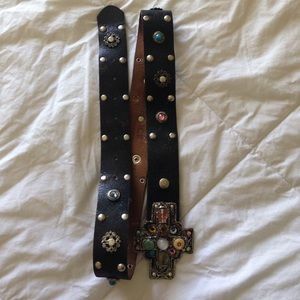 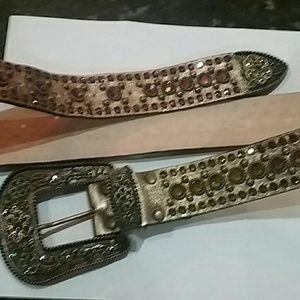 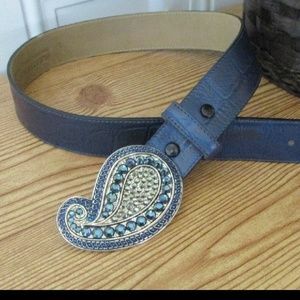 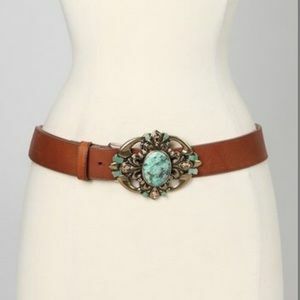 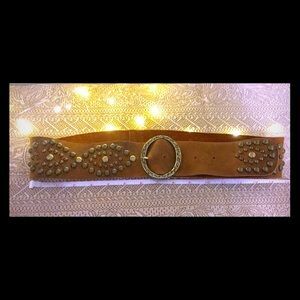 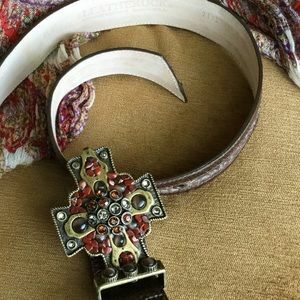 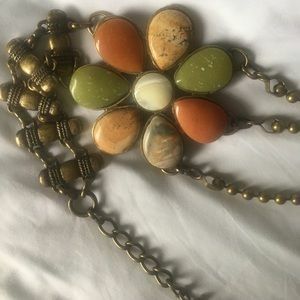 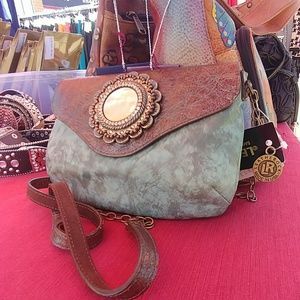 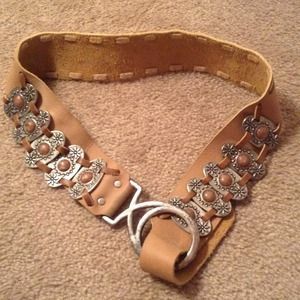 Size: Says XL - 38"
Gorgeous brass & leather wide hip belt.